In the hours after a train derailed in Philadelphia, killing eight people, news reports were already stating that the engineer’s recent work schedule would be examined. This wasn’t surprising, given that just weeks earlier, the National Transportation Safety Board stated that operator fatigue was partially to blame for another train crash that occurred in Chicago last year. Anyone who’s worked in the fire service knows that fatigue can impact one’s work performance. 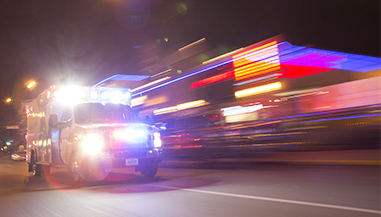 In the aftermath of major incidents, we don’t always focus on fatigue as a factor—and it’s often extremely difficult to know just what role it plays when it comes to vehicle crashes, fireground injuries, or medical errors. One thing is clear, however: employee fatigue impacts every fire department, no matter how big or small, or what type of shift schedule. It’s an issue that no fire chief should ignore. At the same time, the issue of fatigue does not present any clear answers or solutions. It is not as simple as changing the shift schedules or reducing the call load. Department culture and employee morale may be the true underlying issues, and factors such as commute times, outside employment, and family life also clearly impact firefighter fatigue at the individual level. While UHU is a useful measure, its meaning is often misconstrued. There are no industry standards for UHU, but the fire service has traditionally viewed UHUs above 25 or 30 percent as the threshold for a 24-hour shift, in order to ensure units are available to respond to emergencies and response time standards can be met. Such a low UHU is also an acknowledgement that much of the required work of the department comes outside of emergency response—such as maintaining the apparatus, physical exercise, training, documentation, and public outreach. As more sophisticated computer-aided dispatch and data collection systems are being used, many departments have started tracking the time spent on these activities as well—but no one has developed a standard for UHU that includes non-emergency activities. The question is, how much time during a shift should a firefighter be performing work-related (emergency and non-emergency) activities, and how much time should be true “down-time”? While the answer to that question is still not known, what is clear is that fire service leaders need to be aware of how they are measuring UHU (and why) before they compare their numbers to external standards or other departments that may use different methods or have different goals in mind—and also keep in mind that UHU standards were recommended to ensure reliability, not to address fatigue. We also still do not know whether emergency activities contribute more or less to fatigue than other activities. Keeping UHU low during the day time may increase readiness to respond, but if firefighters are still performing other tasks—such as physical exercise, training, or even station duties—they are not resting. Indeed, anyone who’s worked in the fire service can tell you that a slow shift during day-time hours can sometimes feel just as exhausting as a busy one. At the same time, being on a busier unit in the same station as a slower one may be even more exhausting psychologically, as firefighters on the busy unit become frustrated by missing meals and other activities that their colleagues partake in. In addition to shift schedules and call volume, several other factors directly impact the levels of fatigue among firefighters. In many departments, firefighters travel long distances commuting to work. In Washington, DC, for example, when then-Fire-Chief Kenneth Ellerbe proposed changing shift schedules in 2011, it was reported that only 25% of the department’s personnel lived in the District of Columbia, and nearly half lived more than 30 miles away; a significant number of those lived much farther from work, often driving well over an hour in each direction for a shift.3 For those employees, the 24-hour shift may offer more rest than a schedule that would require them to double the number of times they commute to work. Many members of the fire service also work part-time or even other full-time jobs, or volunteer at a second department; attempts to manage worker fatigue through shift schedules alone will not address these issues. Policies requiring employees to rest for a certain period prior to reporting for work may diminish some of the department’s liability should an incident occur, but are typically difficult to enforce in order to prevent fatigue. They also raise issues over how much control an employer can have over the off-duty activities or family life of an employee. Many industries, including transportation and healthcare, have tackled shift work issues by banning 24-hour shifts, often limiting work periods to 12 or 16 hours. The FAA forbids pilots from working 24-hour shifts and requires at least a 10-hour rest period between work periods. Most nurses work 8 or 12 hours at a time, and even medical residents now have more stringent limitations on how many hours they can spend in the hospital. Yet many fire departments continue to allow workers to be on duty for 36 or 48 hours consecutively. Making direct comparisons to other industries is difficult—unlike pilots or nurses, firefighters in some departments regularly sleep through most of the night. But in other departments—or even stations within the same department—firefighters routinely wake up for medical and fire incidents throughout the night. Department leaders who have made efforts to change shift schedules—often for financial reasons, though sometimes citing health and safety—have frequently found opposition to change among department personnel. Interestingly, this has occurred both when departments tried to implement 24-hour shifts, such as in Baltimore, and also when departments tried to eliminate them, as the former chief in Washington, DC, proposed. With the research showing equivocal results, and in light of intense opposition to altering shift schedules in any way, fire chiefs are left unsure how to address issues of fatigue and safety. What is clear is that fatigue is an issue that impacts every fire department, and one that has potentially serious consequences on employee performance, and also the health and safety of both firefighters and the communities they serve. Thankfully, there are some potential solutions that may help address both physical and mental fatigue in the fire service, many of which have been successfully implemented in departments across the country. Many departments have certain stations and companies that are significantly busier than others. As just one example, San Antonio Fire Department’s 2013 Annual Report shows that some engine companies responded to fewer than 1,000 calls during the year, while others topped 3,000.5 Firehouse magazine’s annual National Run Survey reported that in the same year, San Francisco’s busiest engine company responded to more than 9,000 incidents, averaging more than 27 runs each day.6 Clearly, fatigue levels are likely to vary between firefighters based on how many incidents they respond to, as well as whether those incidents occur during the day or interrupt sleep. Some departments try to offset the impact of fatigue by rotating firefighters through multiple stations or apparatus. This is especially popular in stations that have EMS transport units and ALS fire units, such as in Memphis, where firefighter/paramedics typically work 12 hours on an EMS unit and 12 hours on a fire suppression unit during each shift.7 Other departments assign personnel to stations but not specific companies, allowing them to rotate from busier units (such as ambulances or engines) to slower units (truck or rescue companies). A few EMS agencies have tried other approaches, which typically have not been embraced by fire departments. In 2006, Austin-Travis County EMS (ATCEMS) in Texas switched from all 24-hour shifts to a combination of 12- and 24-hour shifts. Medics work 12-hour shifts on two consecutive days at a busier station, then a 24-hour shift on a slower ambulance, followed by four days off. While rotating between stations on a regular basis would likely be unpopular in a fire service that takes station pride and first-due familiarity very seriously, the ATCEMS approach pairs the busier units with slower ones—meaning medics rotate between just two stations, allowing them to become familiar with each of those areas. Another option is to rotate firefighters between busy and slow units every few months, or annually. This would not address the day-to-day impacts of fatigue at the busier stations, but may help alleviate some of the long-term health effects and stress caused by several years of sleep deprivation. Another solution is offering multiple schedules—many fire departments that traditionally had only 24-hour shifts have now implemented some 12-hour schedules. While these changes were typically made in order to adjust to rising call volumes during the day, “peak-time” units also offer personnel a chance to get a good night’s rest at home every night. Having different shift options to choose from may help employees find a schedule that best fits with their personal lives and allows them to get proper rest. The fire service has acknowledged the importance of training, cardiovascular health, and public education—often requiring companies to participate in at least one, if not all three, of these activities during each shift. Yet many departments continue to ignore the consequences of shift work and sleep deprivation on their employees. Departments often have strict rules against resting during the first 12 to 14 hours of a shift, despite evidence that shows that short naps can play a significant role in fighting the effects of fatigue. Others continue to allow firefighters to trade shifts or pick up overtime to excess, often working 36, 48, or even more hours consecutively with no one tracking how many calls they’ve responded to or how much rest they’ve had. The fire service continues to get busier, with EMS calls accounting for much of the increase in volume and over half of responses in most departments. It is critical that fire service leaders no longer ignore the impact that fatigue is having on the physical and mental health of firefighters and potentially also the health and safety of their communities. 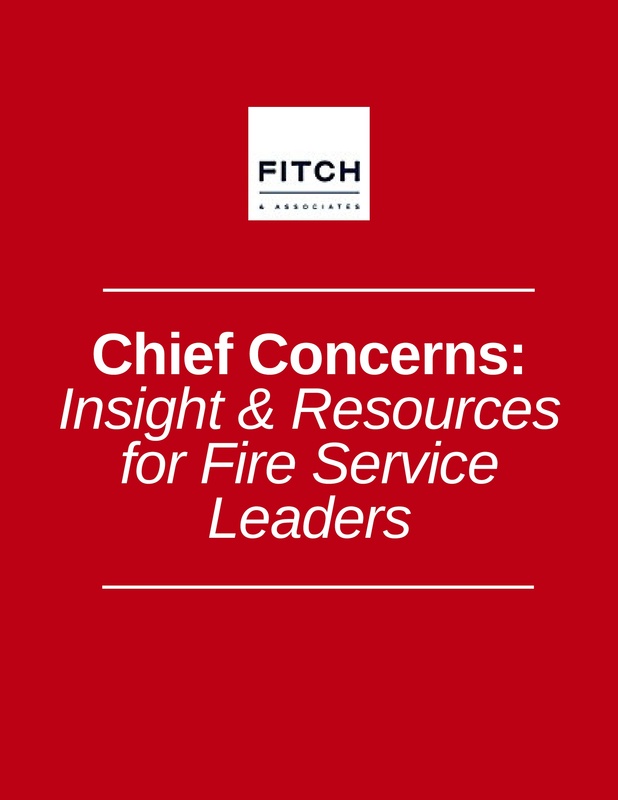 As leaders, fire chiefs often have to make difficult choices that might not please every employee, but are nonetheless needed to safely protect communities, departments, and their members. While some of the necessary changes to fight the problem of fatigue will not be popular, they are in the best interests of firefighters and the communities they are sworn to serve. 1. Barger LK, Rajaratnam SM, Wang W, O’Brien CS, Sullivan JP, Qadri S, Lockley SW, Czeisler CA, Harvard Work Hours, Health and Safety Group. Common sleep disorders increase risk of motor vehicle crashes and adverse health outcomes in firefighters. J Clin Sleep Med 2015;11(3):233–240. 2. Defence Research and Development Canada. Consideration of 5 Canadian Forces Fire Fighter Shift Schedules. 2005. Available online at http://cradpdf.drdc-rddc.gc.ca/PDFS/unc48/p524652.pdf. 3. Segraves, Mark. “DC Fire Chief proposes cutting ranks, 12-hour shifts.” November 30, 2011. Available online at http://wtop.com/news/2011/11/dc-fire-chief-proposes-cutting-ranks-12-hour-shifts/. 4. International Association of Fire Chiefs. The effects of sleep deprivation on fire fighters and EMS responders. 2007. Available online at http://www.iafc.org/files/progssleep_sleepdeprivationreport.pdf. 5. San Antonio Fire Department Annual Report 2013. Available online at http://www.sanantonio.gov/Portals/0/Files/SAFD/ForAgencies/2013AnnualReport.pdf#page=1&view=fitV. 6. National Run Survey 2013. Firehouse, August 2014. Available online at http://media.cygnus.com/files/cygnus/document/FHC/2014/JUL/busiest-engine_11588363.pdf. 7. Logan, J. Harold. “Mentors in Memphis.” JEMS, October 2007, Available online at http://www.jems.com/articles/2007/10/mentors-memphis.html. 8. McCallion, Teresa. “Consider the Dangers of Shift Work.” JEMS, April 2012. Available online at http://www.jems.com/articles/2012/04/consider-dangers-shift-work.html.